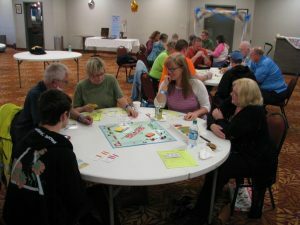 Congratulations to Craig Ragsdale, winner of the 2018 Ozark Mountain Monopoly Tournament held in Branson on 10/13/18. 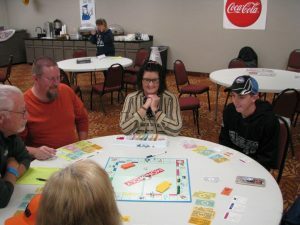 This was Craig’s third Ozark Mountain Monopoly Tournament win and last year, Craig’s son, Teddy, won the tournament. 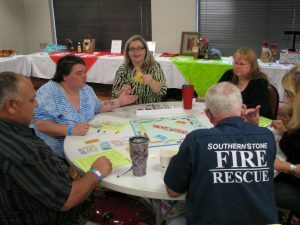 Thanks to the 38 players who came in from all over to play, and to the many sponsors and supporters who provided food, entertainment, space, and silent auction items. 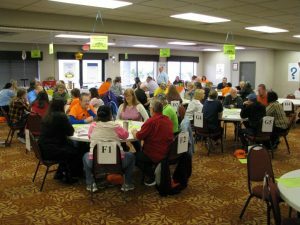 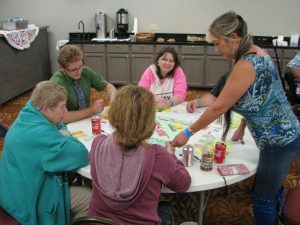 The tournament raises funding for the OACAC Stone County Neighborhood Center emergency fund, supporting individuals and families in crisis situations. 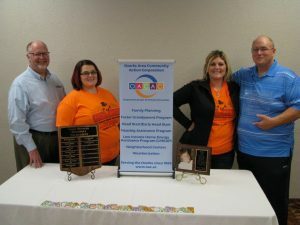 Craig is pictured below on the far right, along with OACAC Stone County Advisory Board member, Ervin Uhrig, and OACAC Stone County Neighborhood Staff, Brandi Andrews and Shyra Bilyeu. 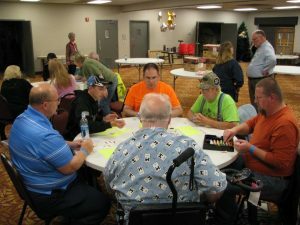 Additional photos from the tournament also included.